As a child I can remember my parents working together in the family business which they set up the year I was born. Dad would work on the market stalls 2 or 3 times a week, getting up while it was still dark in all manner of weathers. Me and my brother would help out during school holidays. Through their hard work the shop in Attleborough grew and Dad could finally stop doing the markets and concentrate on the shop. When we left school, me and my brother didn’t go straight into the family business. Instead, Richard was a Coachbuilder for 14 years and I became a Tyre fitter for 10 years. Then discussions started about one of us joining the business to sell online. I jumped at the chance to help keep the business in the family. There was only one problem…I couldn’t get excited about dog food. Fitting tyres to a Ferrari Enzo on the other hand? The website was launched and proved quite popular with local people who could use it to see what we sold. After about 12 months, Richard started part time and my sister helped on a Saturday. It was while helping out in the shop I learned from my Dad that some foods contained food colouring which often resulted in behavior problems. These big name foods also had low meat content. We would advise customers to steer clear of them but only if they asked. Things changed dramatically when we had a visit by a sales rep from Acana and Orijen. Dogs and Cats are meat eaters so you’d expect meat to be the most important and most abundant ingredient in their food. The sales rep put a selection of dog foods we sold in order of meat content - lowest to highest percentage. This also highlighted those with very high cereal content. Our eyes had been opened and we were finally reading the ingredients of the foods we stocked and encouraged our customers to do the same. Finally I had something to be excited about. I started researching about different foods and became really passionate about making sure our customers got the best food they could for their pet. I got a lot of inspiration from Scampers Pet Store in Soham. It was very hard work but also very rewarding as customers often said how their pet’s health had improved by switching foods. I’d spend hours and hours at work and at home researching dog and cat food. I started to feel guilty that we were still selling these foods and just wanted them out. The family could see my passion for the subject and after lots of persuasion they agreed to slowly remove those big name brands from our shelves as they were distracting customers from buying better foods. Mum told me that she wasn’t sure about removing those brands but if proved to be the best decision we have ever made. 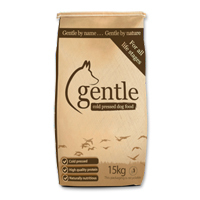 We’ve been able to replace them with very high quality natural foods such as Gentle, Orijen, Acana, Lovejoys and Nose2tail. The range of Natures Menu we sell has also grown dramatically. Our main focus now is our store where we can meet our customers face to face and give advice. We believe supporting independent pet stores this is a key part of the industry. You know the saying “use it or lose it”. All the staff at Taylors Petfoods have learnt a lot over the last few years and there’s always more to learn. Talking to customers about pet nutrition has become our favorite part of the job and I’ll never get tired of hearing “Michael, have you got a minute? This customer has a question about dog food”. Thanks for taking the time to read “our story”.